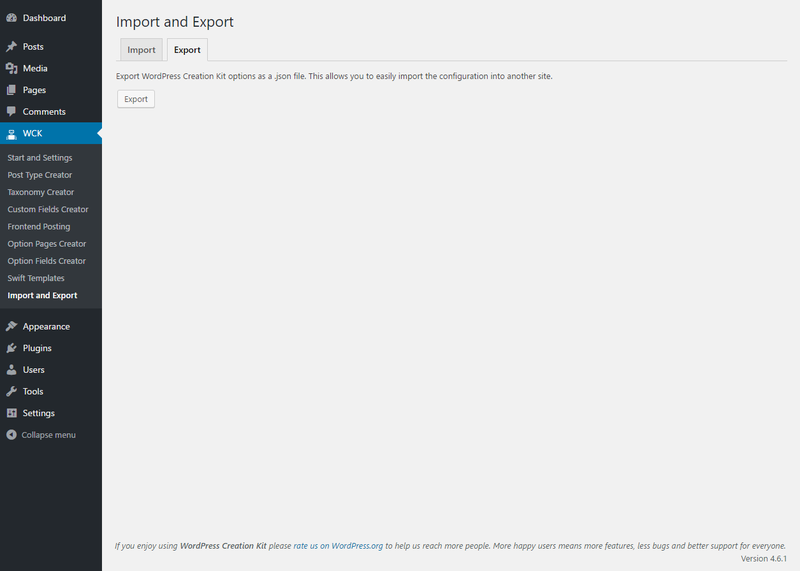 Import and Export subpage allows us to import or export WCK settings. First of all click on the button below to download the add-on. You can install and activate it using the WordPress Upload functionality or Unzip the downloaded file and copy the contents in the wp-content/plugins directory via FTP. Once the files are moved, head over to the Plugins section of the Dashboard and activate the add-on. Import tab allows us to choose an exported WCK file (in JSON format) and import it to Database. This will overwrite old settings from Database with imported ones. 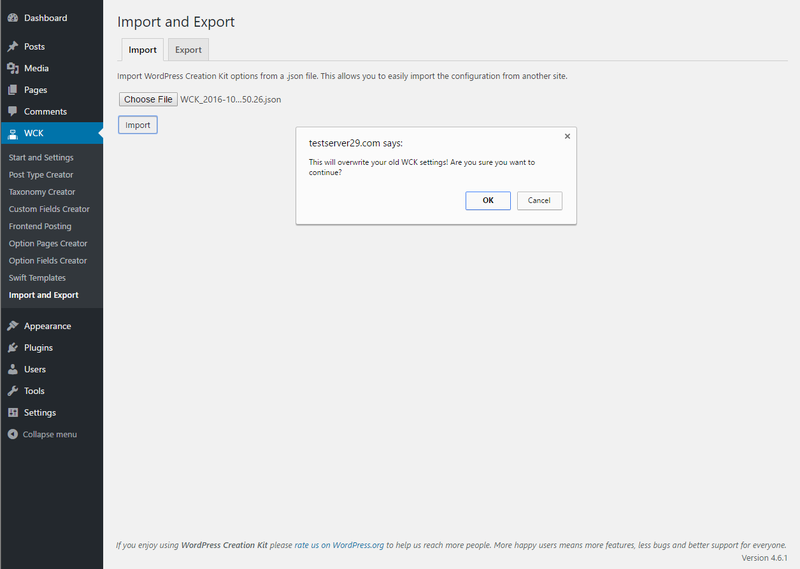 There is a popup window displayed after we click on Import to check if we are sure about overwriting old settings of WCK. Import will overwrite only settings that are in the exported .json file. If you create a Custom Post Type after you export that post will remain unaffected after import. 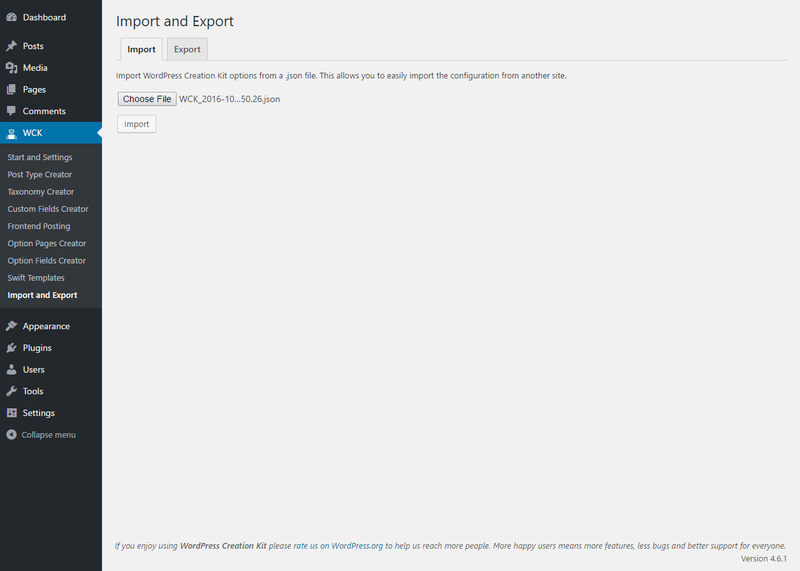 If you delete a Custom Post Type after you export that post will be imported back once you import the file. Export tab allows us to export WCK settings from the Database (in JSON format).